Thank you Etsy and Monarchdancer! It was a little unexpected for me to leave work earlier. Usually I work about 7-8 hrs shift and didn’t think it’s going to be different today. I have had already list of “Things to do” in my head- to make sure that day goes by fast and is productive. Ok, I have to admit- I hate not having stuff to do! It worked out that I was able to leave early and as soon as I turned on my computer some inner voice adviced to log in to Etsy. And here there was- a little surprise. 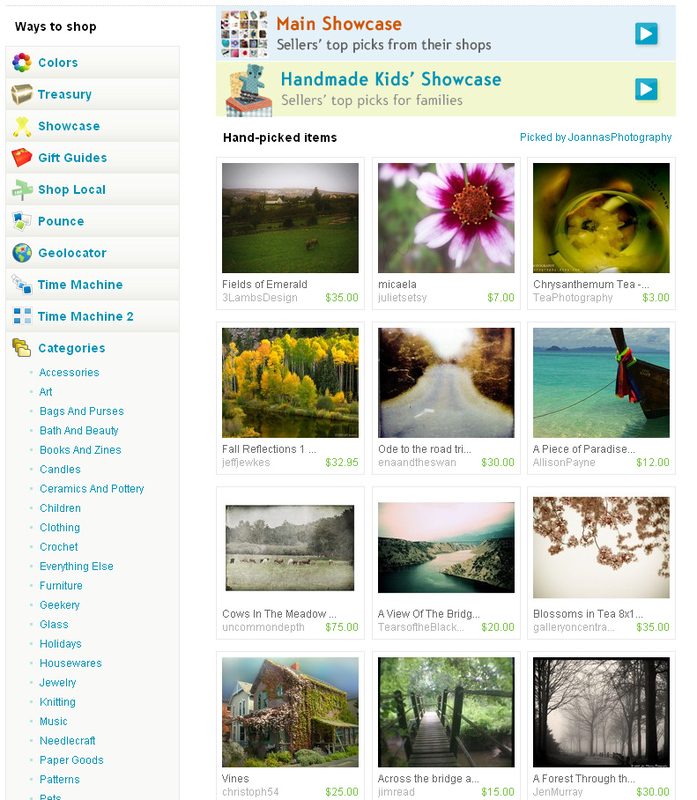 One of the treasuries, where my photograph was featured in was selected for the front page display! Big THANK YOUto Monarchdancer who curated this treasury and included my photograph! I have been sharing my time between my two passions: photography and knitting. As far as knitting- I’m not going to talk much about it. There is a place, where I share thoughts and experiences with everyone who wants to read. Photography. I have been very actively processing some of the photographs that eventually will make it to my Etsy store. Few of them are already posted. Also over the weekend I have joined new Etsy Team: Etsy Independent Photographers Team. So far this team is still growing, so every day there is new member joining. The main purpose of course is to promote each others’ products- photographs and photography related products. I hope that in the futurre it will expand to more of exchange of experiences and techniques. I think that would be nice. I would like also to share very successful start with the EIP team- on Saturday the treasury I created for the team made it to the front page of Etsy.